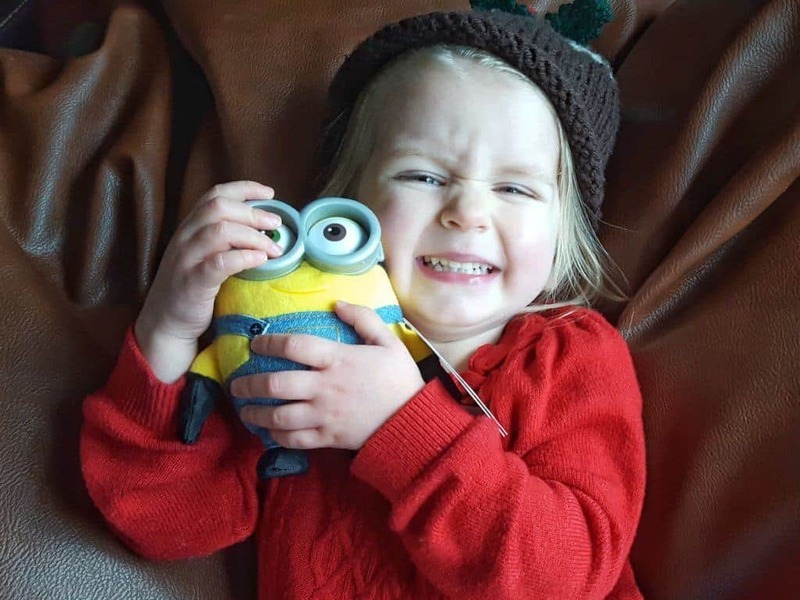 Since watching Despicable Me a couple of years ago, Libby has been a huge Minions fan. She has watched the films so many times that Lia has started to love them too. This morning, Lia had to miss her playgroup Christmas party because we’re having a new kitchen fitted and I had to be here to sort some things out. So I decided it was a great time to get out the new Minions toys we’ve been sent. 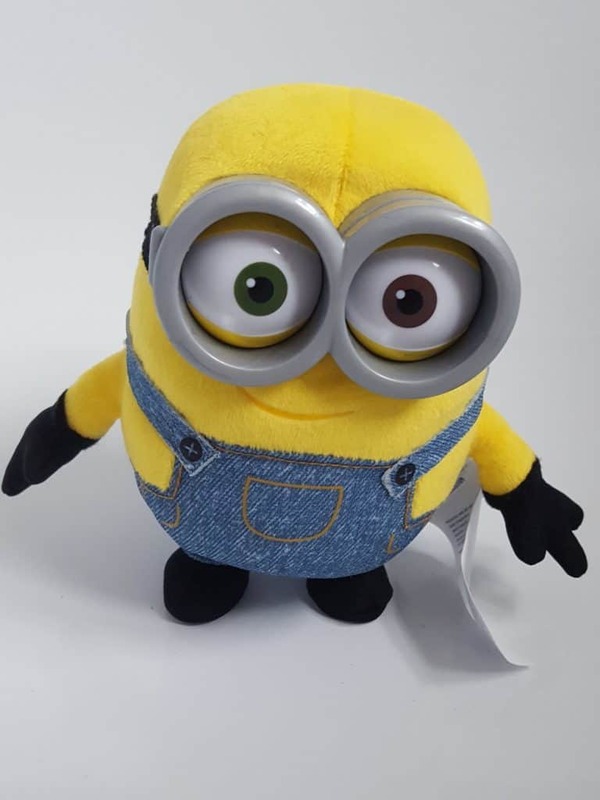 Minion Bob is a cuddly little plush Minion complete with goggles. The souls of his feet are hard, allowing him to stand up. That’s if he’s given the opportunity to do so and he’s not too busy being cuddled! This is a cute action figure with easy to press buttons that make it move. A button on the back of the head makes the eyes both open and close and look left and right. Pressing a button on the front of Bob’s dungarees makes his eyes and mouth open and close. King Bob also has a robe, crown sceptre and arms that allow him to pose. 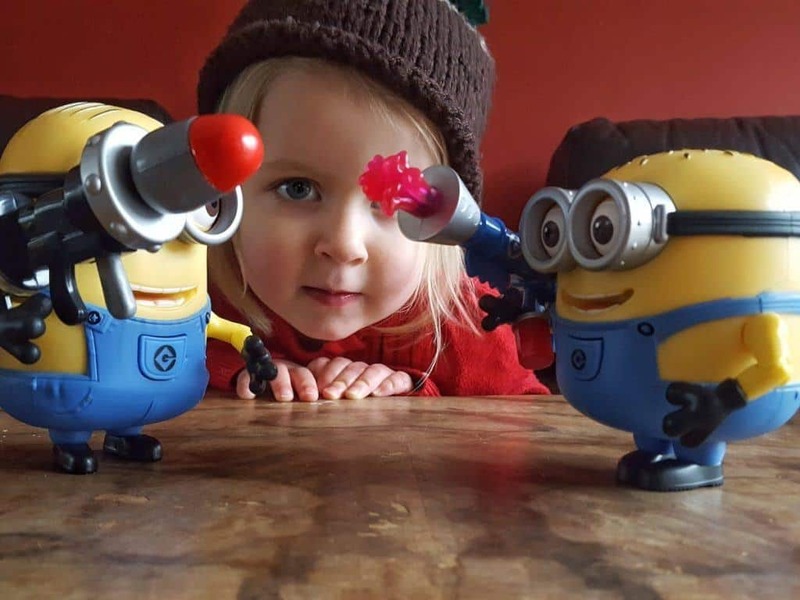 Minion Jerry has his very own Jelly blaster that really works! Load up his jelly weapon and press a button on the jelly blaster to shoot the jelly across the room. You can also press the button on his dungarees to move his eyes and mouth. His arms can be placed in different positions too. 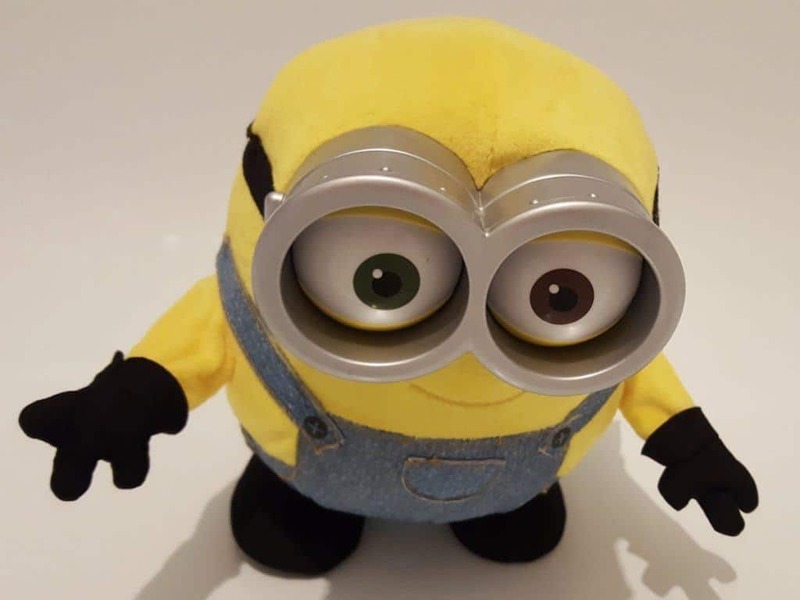 Minion Dave is another action figure with moving eyes, mouth and arms. He holds a rocket launcher that you clip onto his arm. You can then load up his rockets and pull the trigger to fire them! 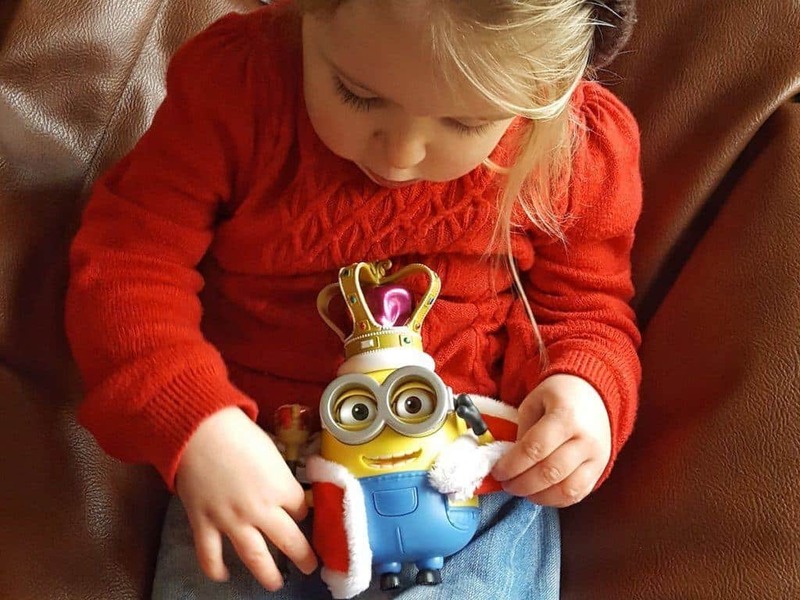 He is great fun on his own, but you can also set up battles with Minion Jerry which are great fun! 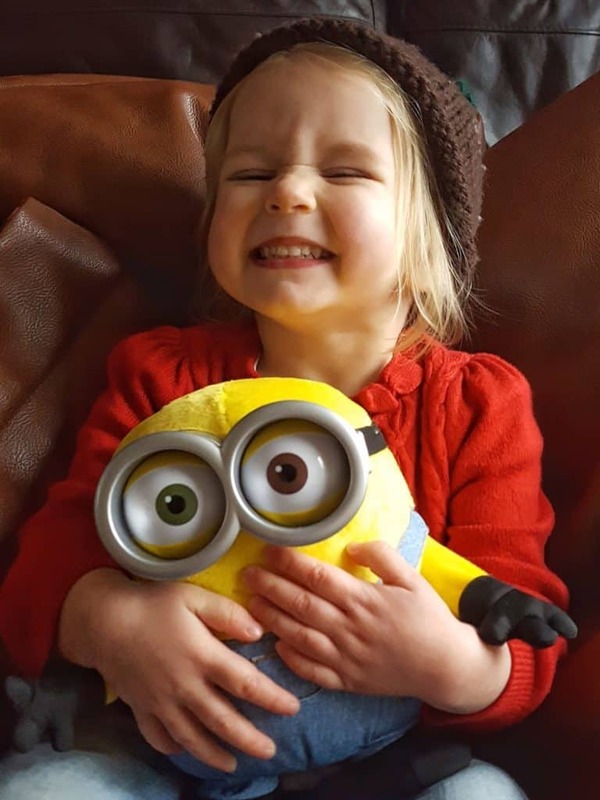 When I gave Sing and Dance Minion Bob to Lia this morning, it was the most excited I’ve ever seen her get about a toy. He is large and cuddly and he sings, dances and talks in response to your voice. You just put him into ‘play’ mode by flicking a switch on his back. Next, you can press his foot or just talk to him to make him work. Lia was delighted with the interaction with Bob. She loves music and dancing so a toy that sings and dances with her is perfect. She spent a huge amount of time shouting “dance Bob, sing Bob!” And when Libby got home and saw Bob, she loved him too! 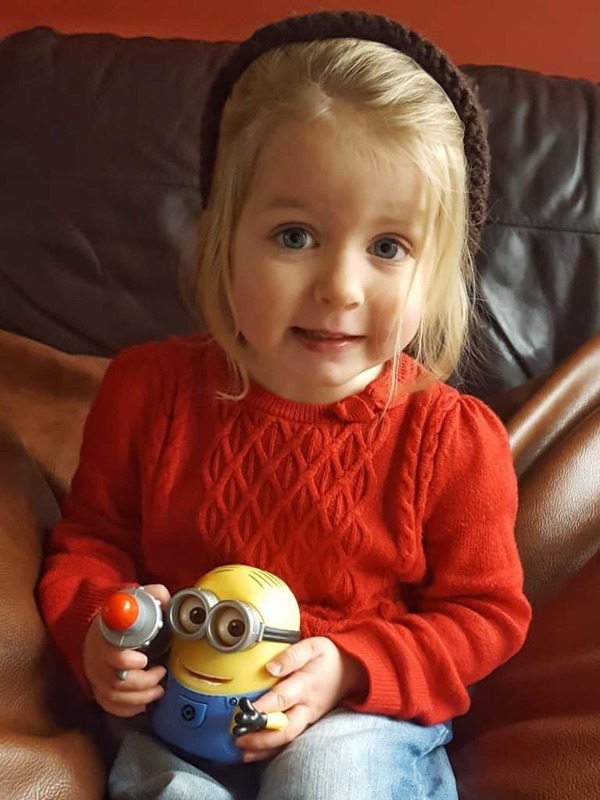 Luckily, Libby’s favourites were Dave and Jerry with their little weapons so Lia’s favourite Bob was safe! 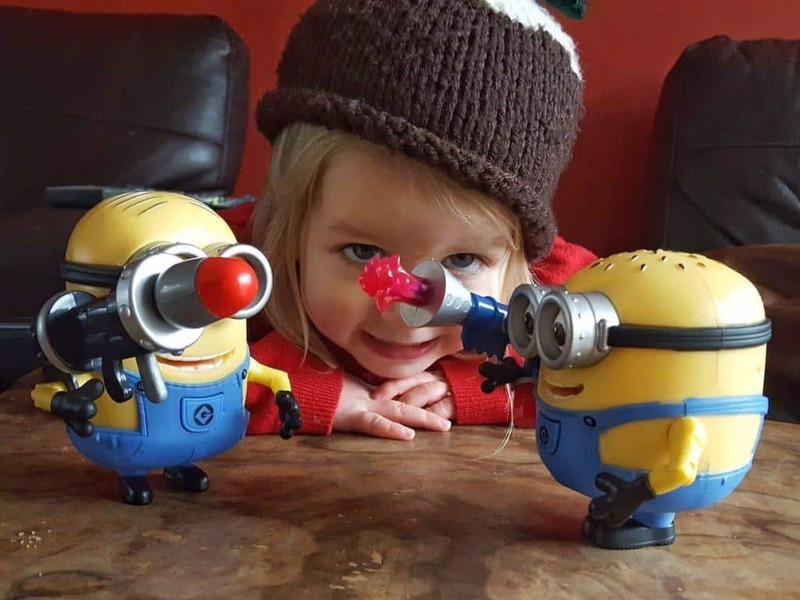 Please note, we were given these minions toys for the purpose of a review. 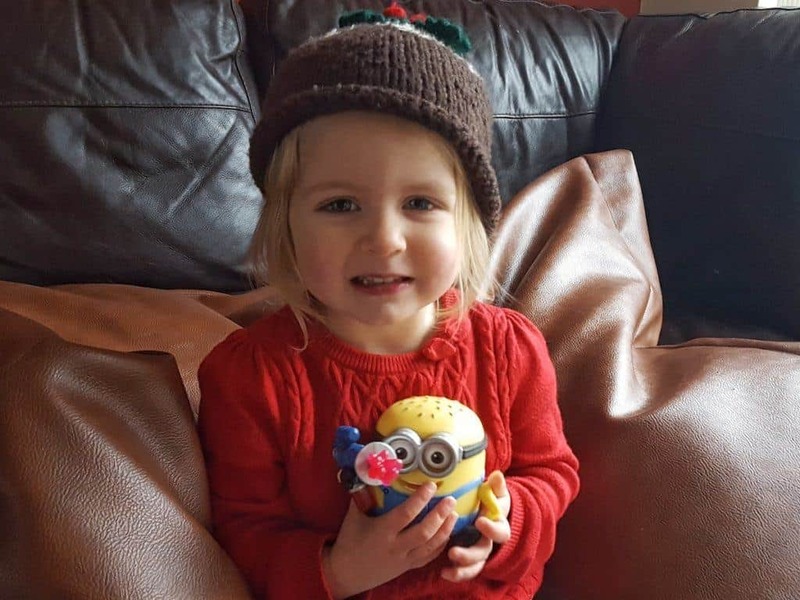 All views, opinions and minion loving Christmas puddings are my own. Despicable Me 3 will be released in June 2017. 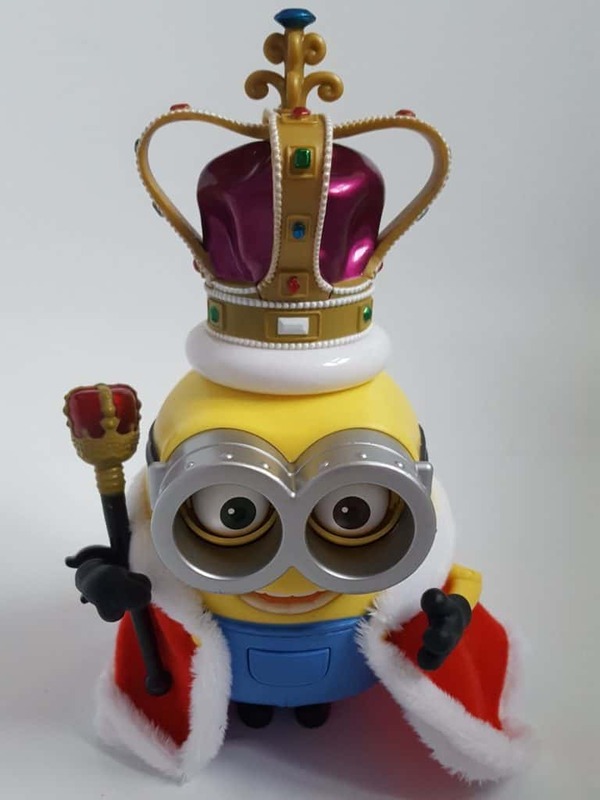 I love Minions and I want every single Minion toy mentioned in this post now!